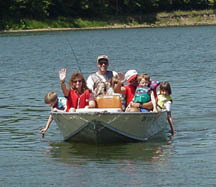 This course meets the requirements for Ohio’s Mandatory Boater Education requirement (the Ohio Boater Education Card), required for all boat operators born on or after January 1, 1982 who operate a boat over 10hp. The boater education card should be carried on-board the vessel while underway. Courses are 7 weeks long. You can find more information about this course here.